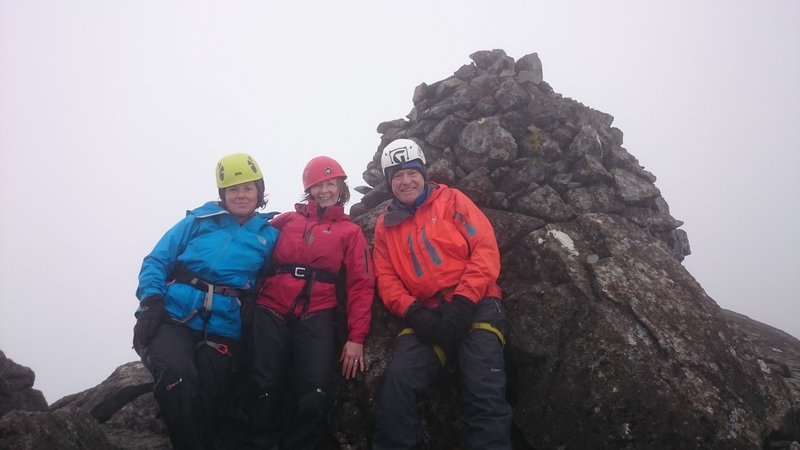 Over the weekend I was joined by Heather, John and Jean to tackle a few Munro’s left on Heather’s list of just 19 hills. 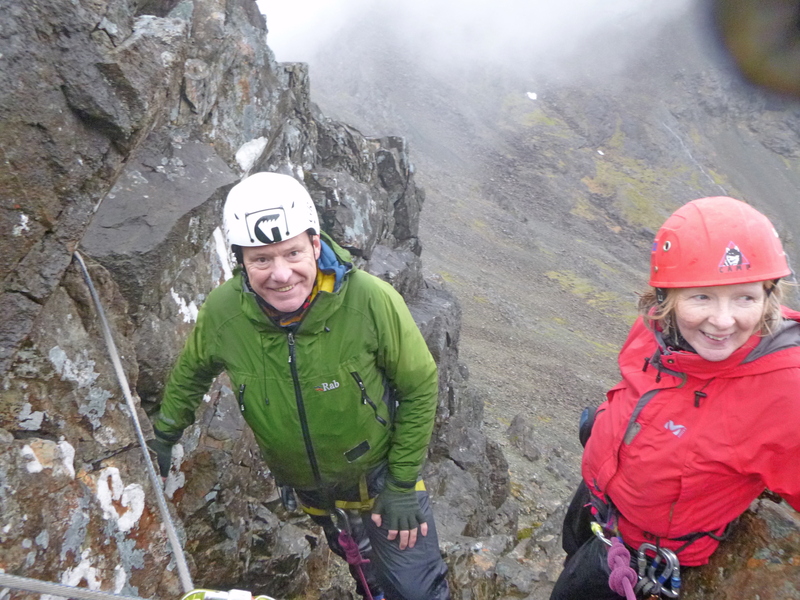 Jean had completed her round many years ago so was along for moral support where as John was simply keen to get out and experience a little more of the Cuillin. 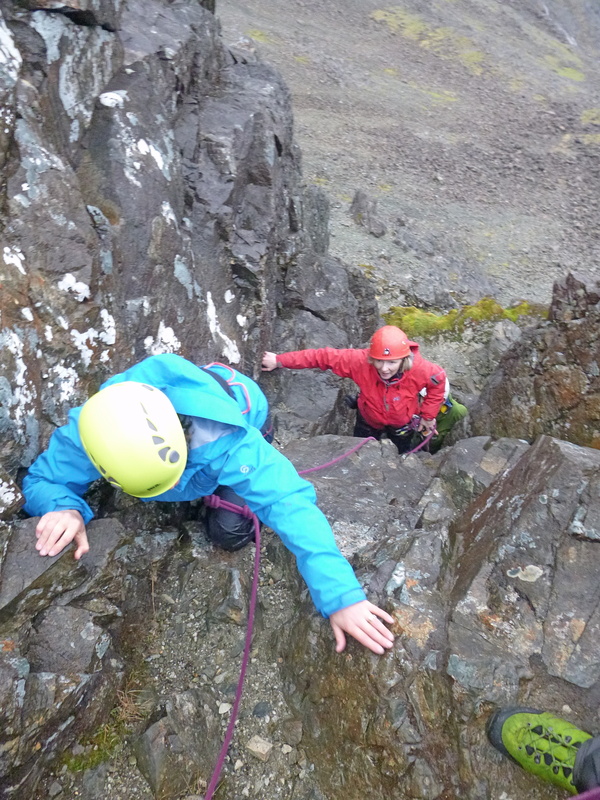 Saturday we chose the Northern end, with Am Bateir and Sgurr nan Gillean on the priority list. 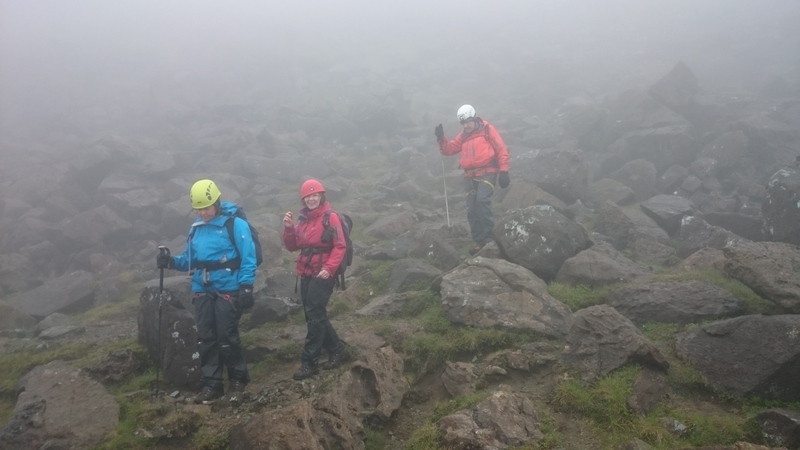 It rained on and off for most of the day with a few very heavy downpours as we made our way onto the summit of Bateir. 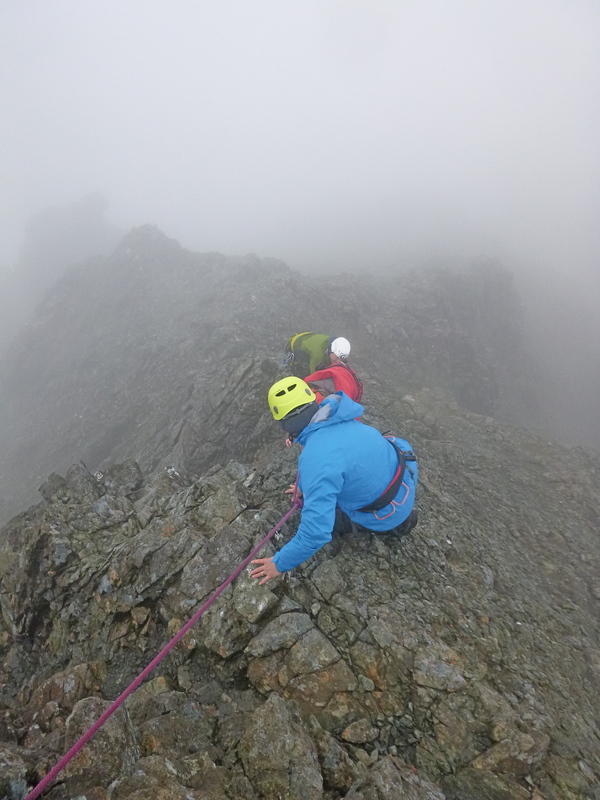 Typically by the time we were descending the summits became cloud free but at least we were able to see where we had just been on our wee adventure. 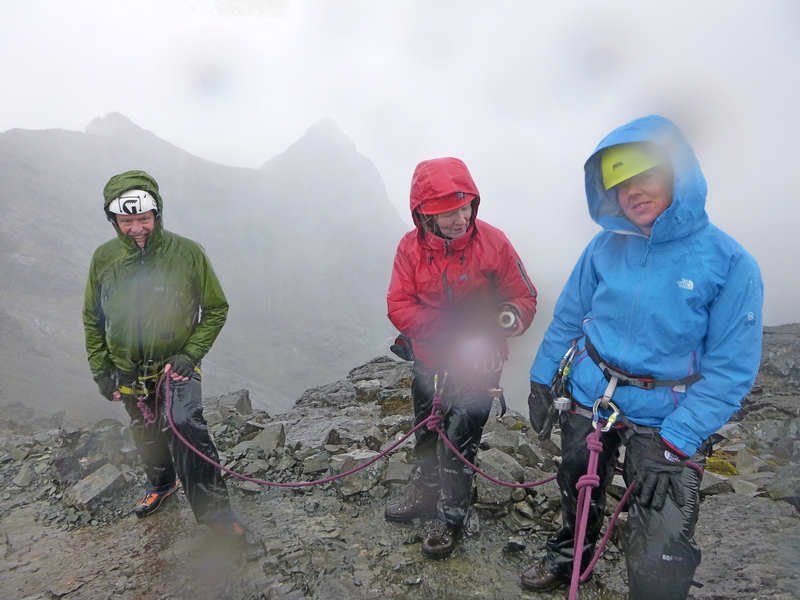 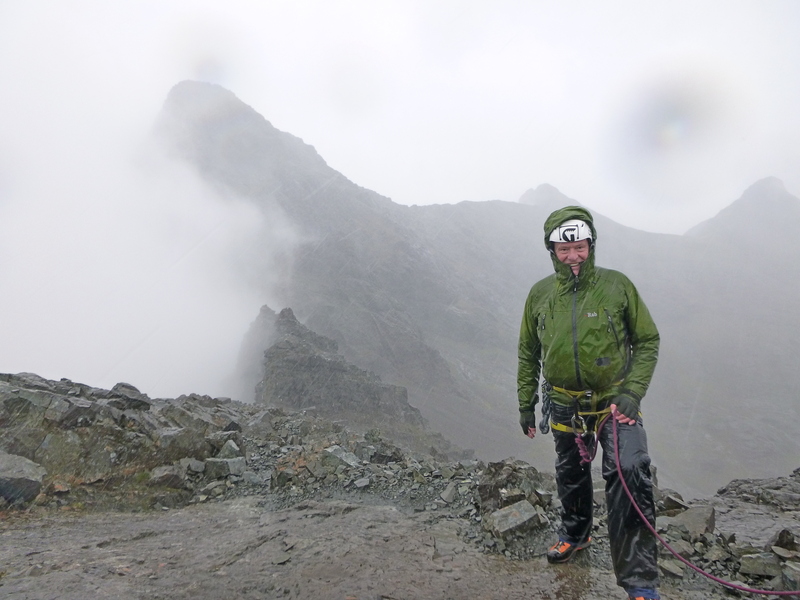 I like guiding these mountains, they are one of my favourite days out in the Cuillin and it was a joy to see everyone making the most of the less than good ‘summer’ conditions. 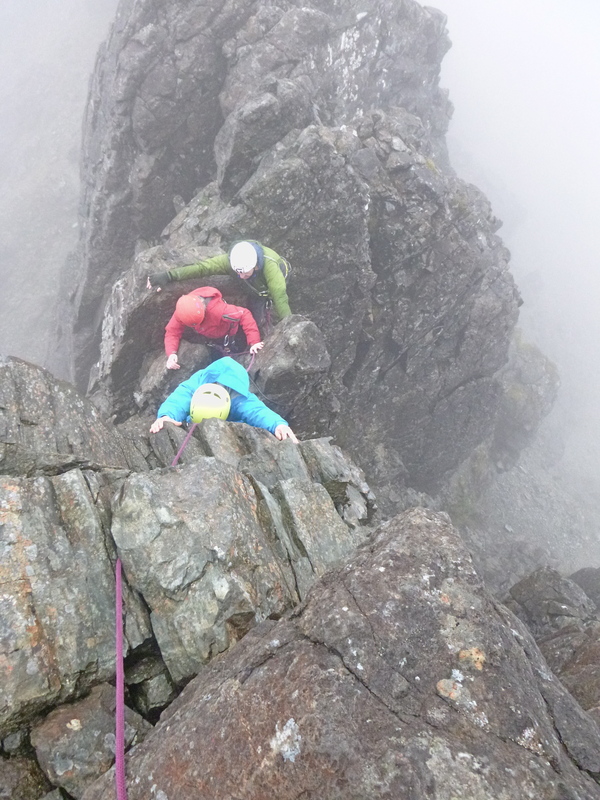 My new Valbona boots getting a typical Skye workout! 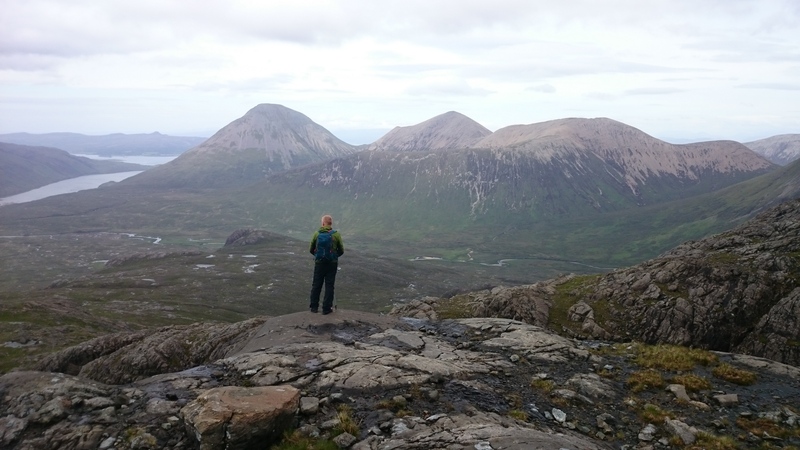 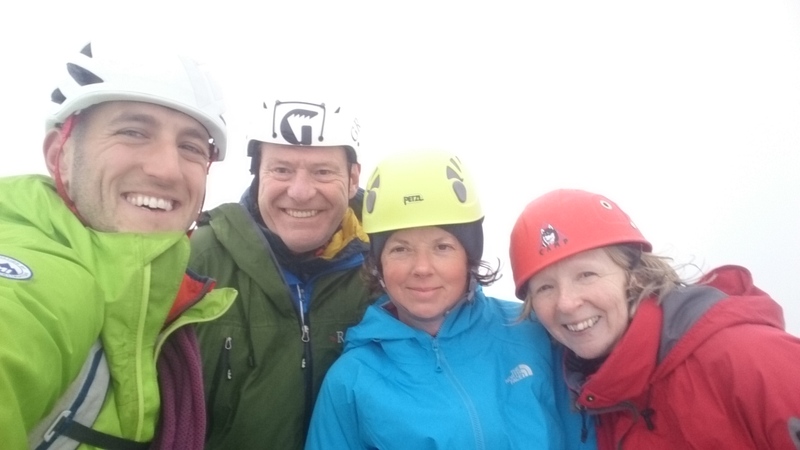 Yesterday was our chance to finish Heathers Skye Munro list with an ascent of Sgurr nan Eag and Sgurr Dubh Mor. 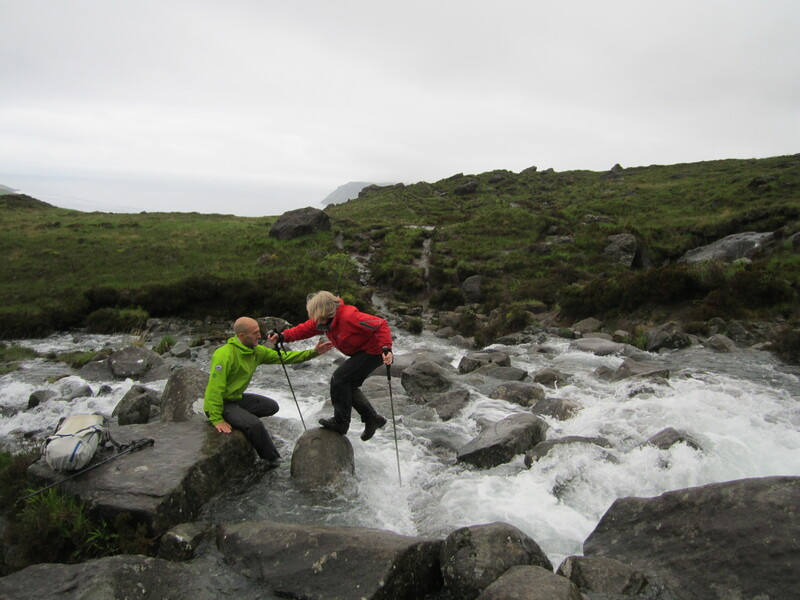 The streams were in spate early on so after a bit of falling and floundering about (getting wet) at the first crossing the guys were keen to sit it out a little to allow the water level to go down at the second. 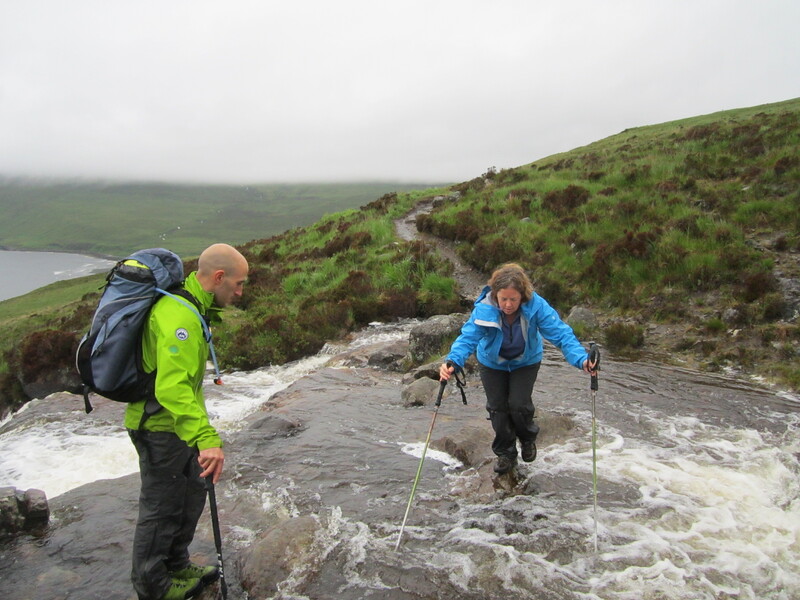 The water dropped significantly and allowed us to cross without too much bother and so up and into Coire Ghrunnda we went. 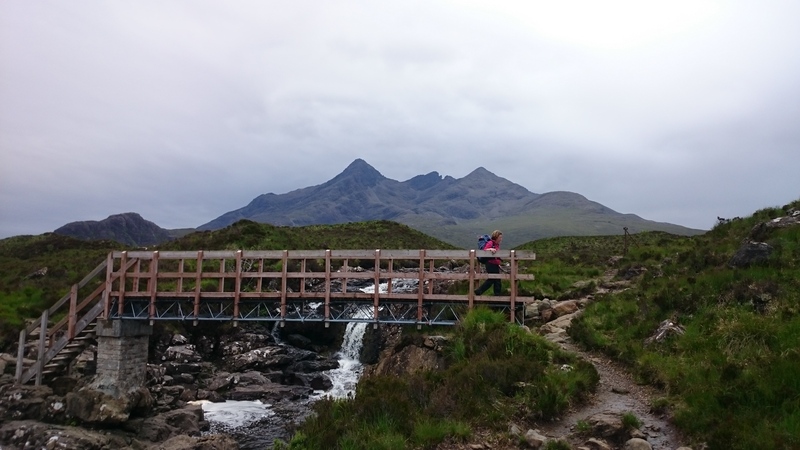 After waiting for the river levels and taking a casual pace up to Sgurr nan Eag it was decided to leave Dubh Mor for another day, time to go down and empty the trousers of all that water!